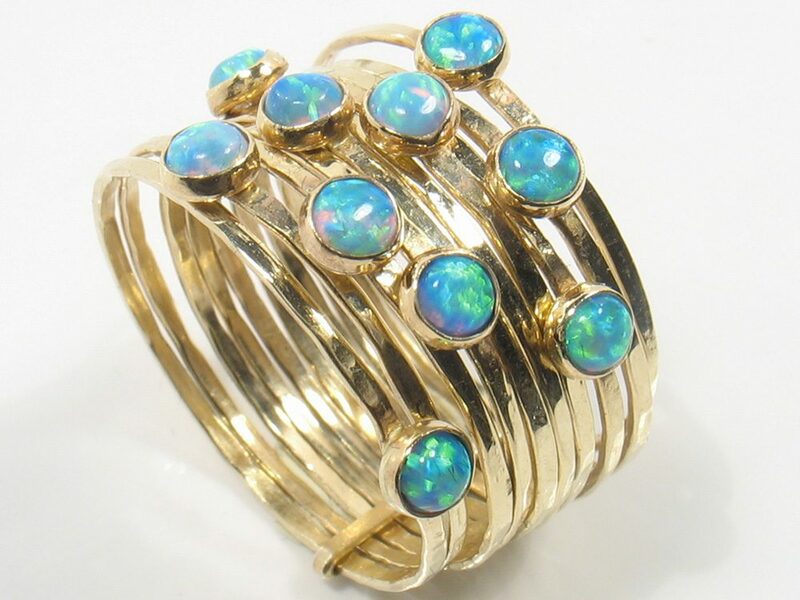 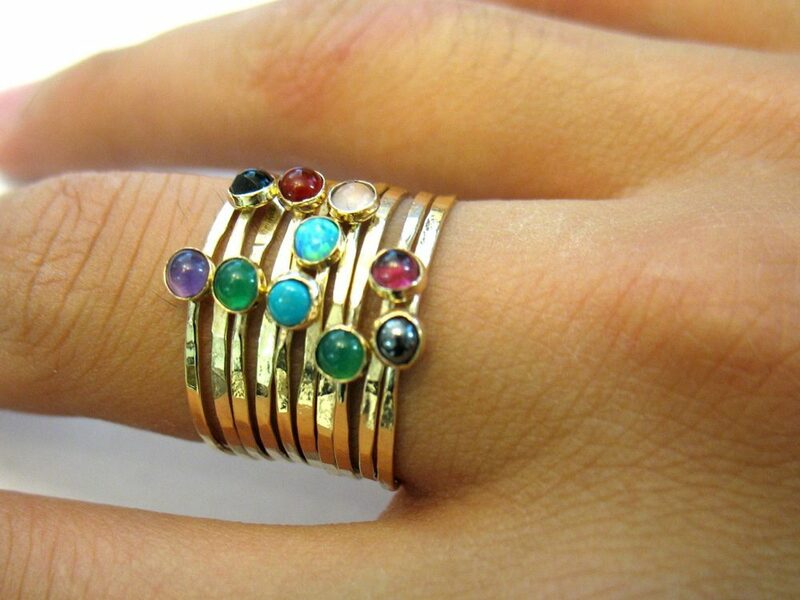 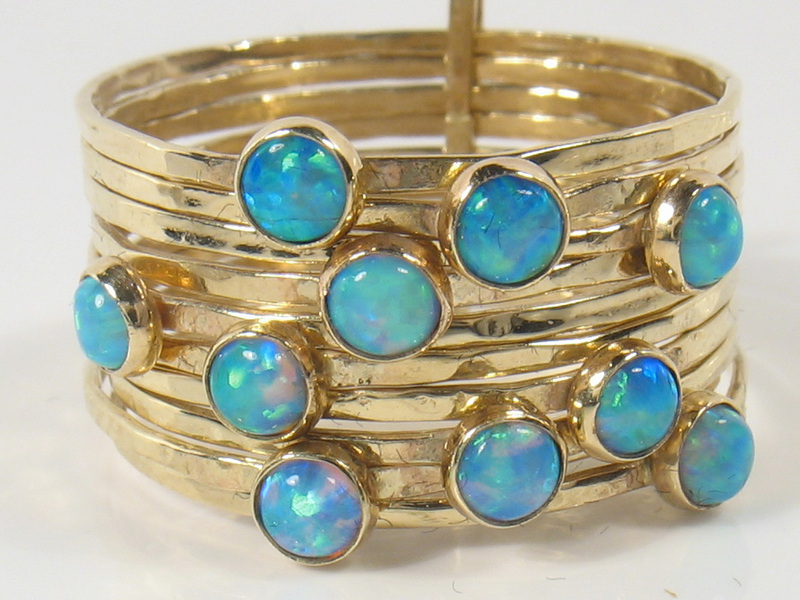 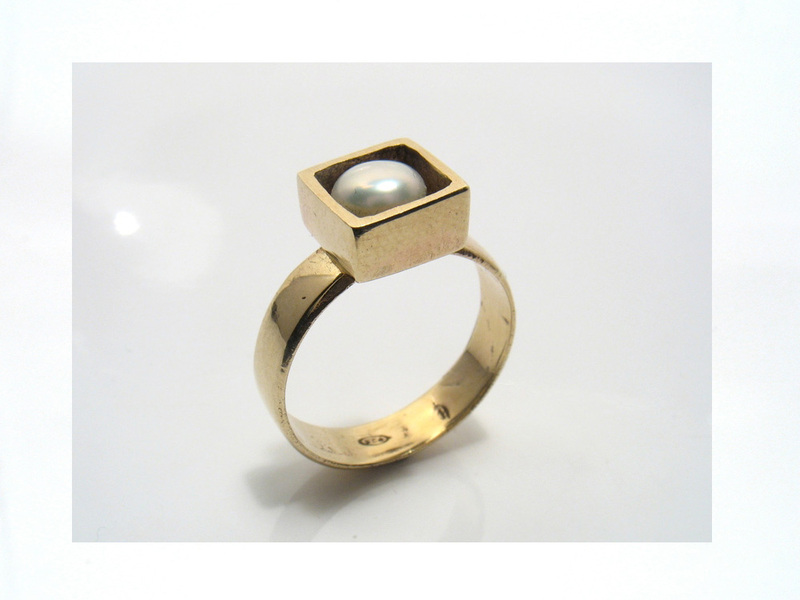 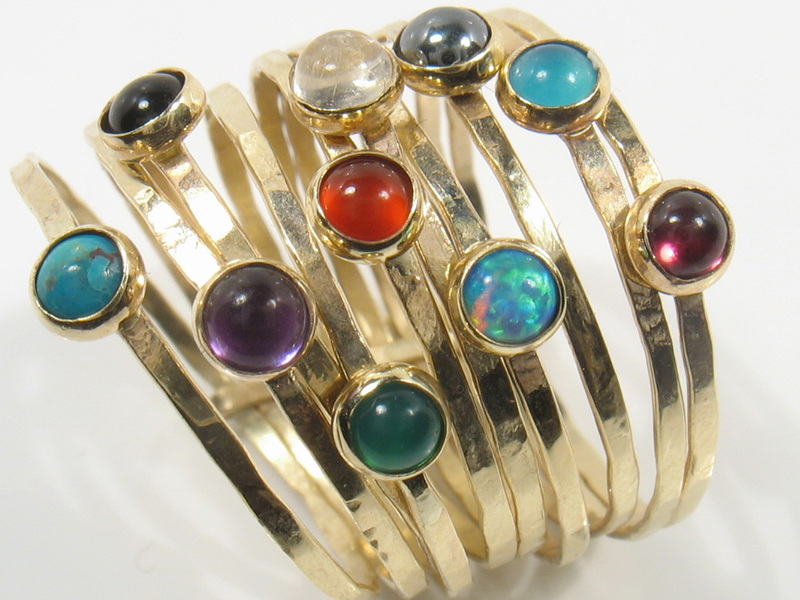 10 individual hammered gold rings held together, set with ten lab opal cabochon stones. 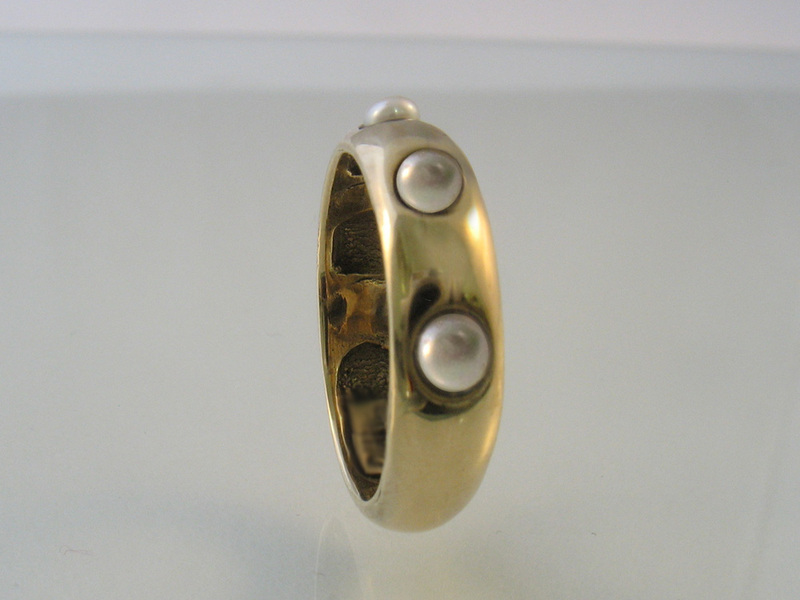 The average of the width is 13mm. 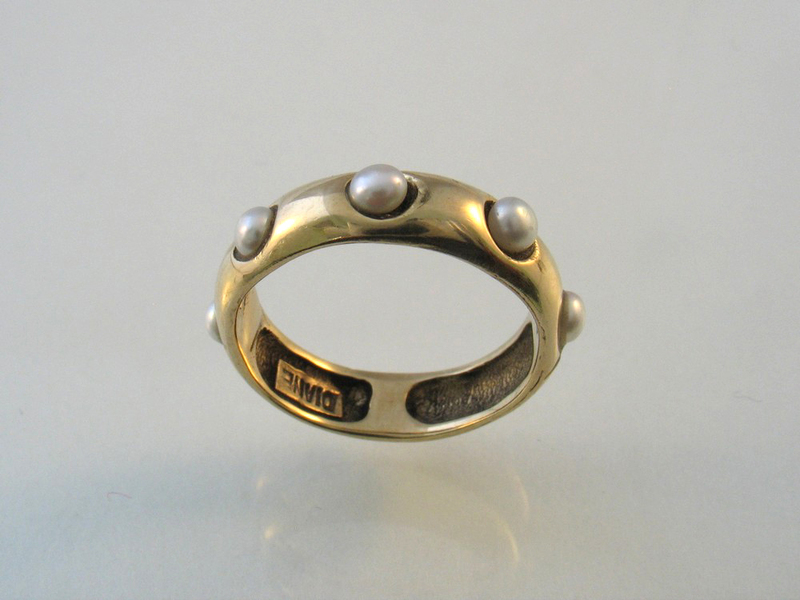 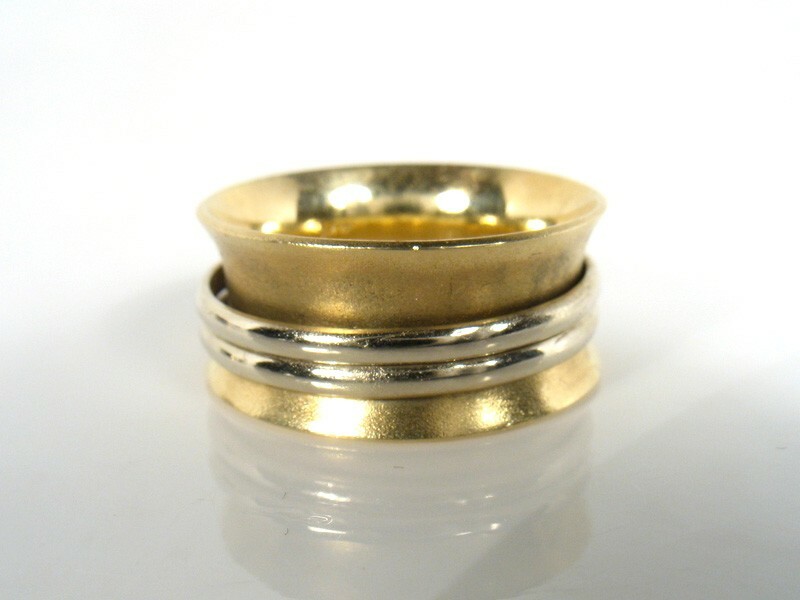 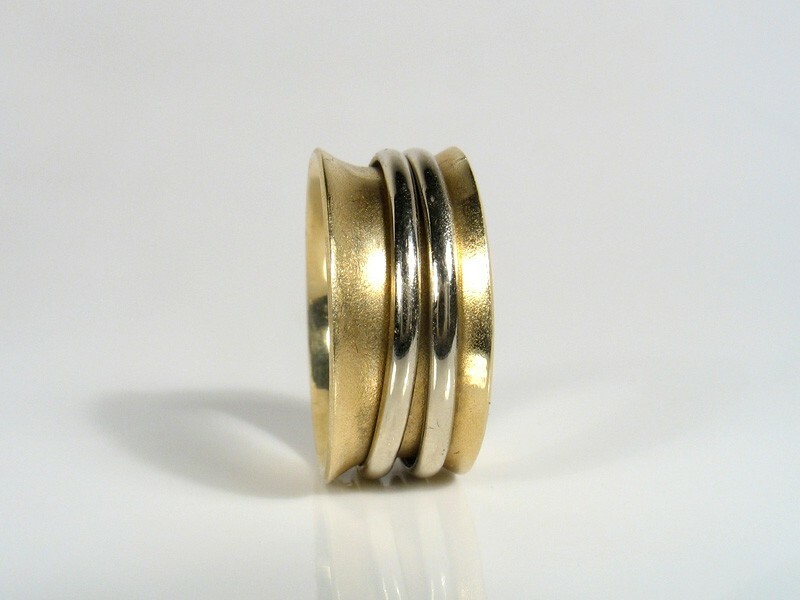 This ring can be made in silver as well (please browse our silver rings). 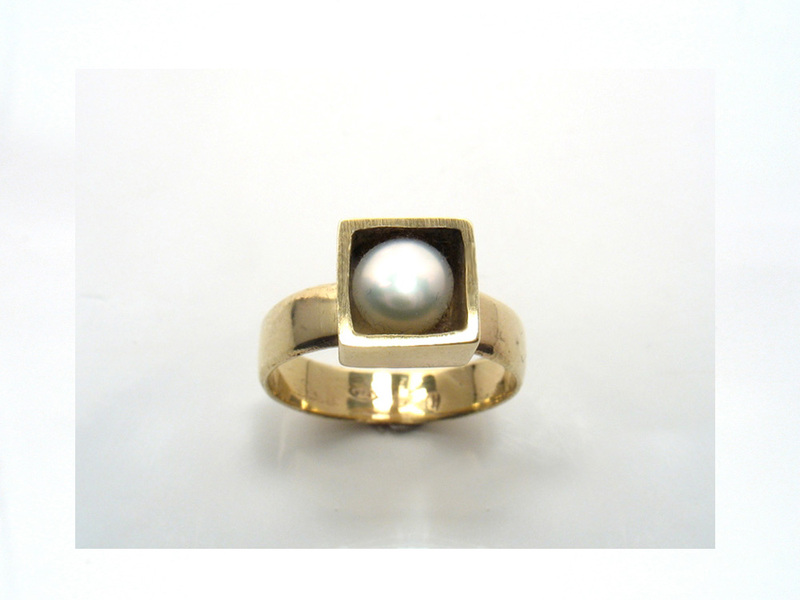 *Please contact us for price.